Less than three months after Prince William of Wales married Catherine Middleton in England on April 29, 2011, another royal wedding is taking place in Monaco, a little city state bordered by France. Prince Albert is marrying Charlene Wittstock, an Olympic swimmer from South Africa, today in a civil ceremony. Their union will be blessed at a religious ceremony the next day on July 2, 2011. The Monegasque celebrations are not as big as those of the British royals. But Islander still enjoys watching their weddings—and preparing something special for our food blog to commemorate the regal occasion! 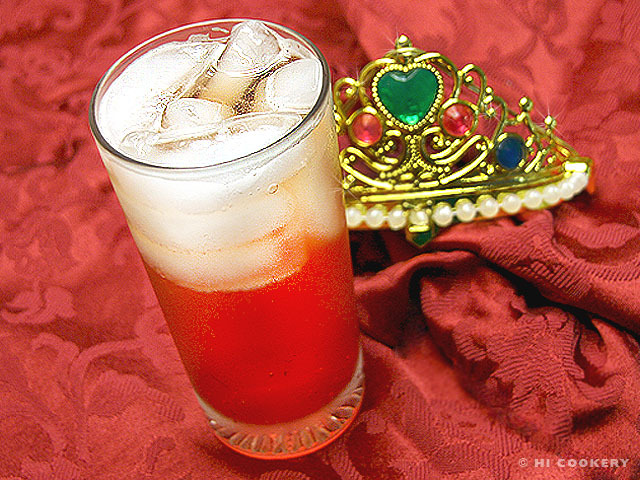 For the Monaco royal wedding, she made a mixed drink aptly called a Monaco, which is a popular cocktail among the principality’s northern neighbors. For this recipe, Islander used a Hawaiian beer, particularly Primo, because the logo for this lager features a silhouetted man with a mahiole (feather helmet). In ancient Hawaii, these crowned the heads of the high chiefs and King Kamehameha. So Primo is a perfect ingredient for our adaptation of a Monaco to toast the Grimaldi groom and his bride on their wedding day. Congratulations to the couple and okole maluna! 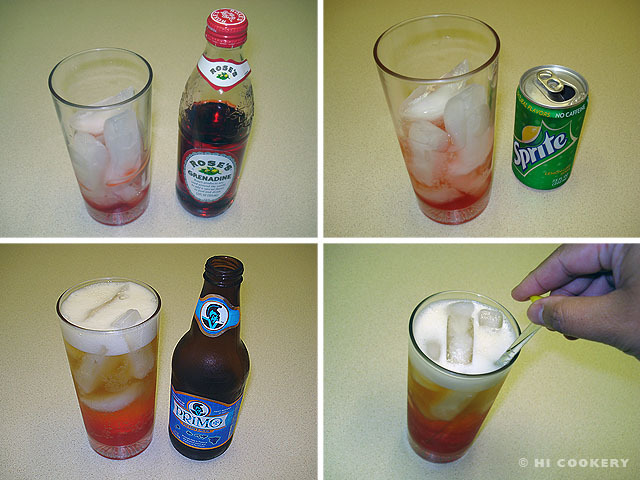 In a tall (or collins) glass filled with ice cubes, pour the grenadine first. Add the lemon-lime soda and beer. Stir until the flavors and colors turn into a pale pink. Grenadine adds a royal red color to the cocktail and a taste of the sweet life! The ratio of beer to soda may be adjusted to one’s personal tastes. Other recipes call for an equal amount of both liquids. The French use lemonade instead of lemon-lime soda in their version of the Monaco cocktail drink. Search our blog for more royal recipes.